Editor’s Note: The following is an excerpt from the introduction to Locked Down, Locked Out: Why Prison Doesn’t Work and How We Can Do Better, by Maya Schenwar. “Prison,” writes Angela Davis, “performs a feat of magic.” As massive numbers of homeless, hungry, unemployed, drug-addicted, illiterate, and mentally ill people vanish behind its walls, the social problems of extreme poverty, homelessness, hunger, unemployment, drug addiction, illiteracy, and mental illness become more ignorable, too. But, as Davis notes, “prisons do not disappear problems, they disappear human beings.” And the caging and erasure of those human beings, mostly people of color and poor people, perpetuates a cycle in which large groups are cut off from “mainstream society” and denied the freedoms, opportunities, civic dignity, and basic needs that allow them a good life. Scholar and activist Beth Richie uses the term “prison nation,” describing it as “a broad notion of using the arm of the law to control people, especially people who are disadvantaged and come from disadvantaged communities.” That control can take the form of prisons, jails, surveillance, policing, detention, probation, harsh restrictions on child guardianship, the militarization of schools, and other strategies of isolation and disposal particularly deployed against poor communities of color, especially black communities. Ninety-five percent of prisoners are released. They’re emerging from their isolation poorer and more alienated than when they went in. They’re coming out with fewer economic opportunities and fewer human connections on the outside. Some come home to find that “home” no longer exists. Many, like Kayla, fall into harmful patterns, sometimes in order to survive, sometimes because they feel they have nothing much to live for. Others are reincarcerated for the flimsiest of reasons as “parole violators,” especially if they’re black or brown or Native or gender-nonconforming or poor. 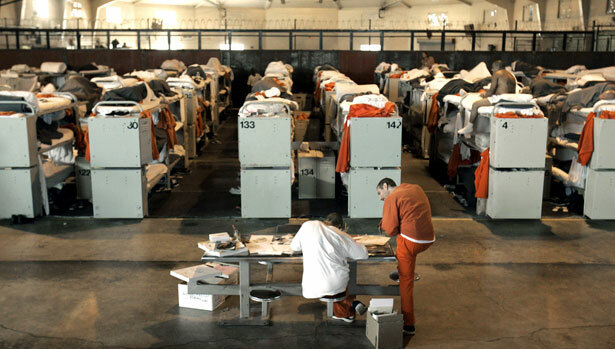 More than 40 percent of those released return to prison within three years. Read more in Locked Down, Locked Out: Why Prison Doesn’t Work and How We Can Do Better, by Maya Schenwar. Maya SchenwarMaya Schenwar is the author of Locked Down, Locked Out: Why Prison Doesn't Work and How We Can Do Better. She is editor-in-chief of Truthout.